THE PSNI HAVE have been granted an extra 48 hours to question the Sinn Féin president Gerry Adams in connection with the murder of Jean McConville. Adams was arrested at Antrim police station on Wednesday night after presenting himself to the Police Service of Northern Ireland for questioning as part of their investigation into the murder of the mother-of-10 in 1972. He has been in custody for two nights. At a press conference in Belfast this afternoon, Sinn Féin’s Martin McGuinness said there has been “political interference in the policing and in the justice system”. He said that there is has been a “very deliberate attempt to have an impact on those elections” on 23 May as he maintained the Sinn Féin stance that there has been a political motivation behind Adams’s arrest. McGuinness slammed “cabal” within the PSNI who he said have “a negative and destructive agenda to both the peace process and Sinn Féin”. Asked if he believed that his party leader would be charged in connection with the murder, McGuinness said: “I believe that Gerry Adams will be totally and absolutely exonerated”. 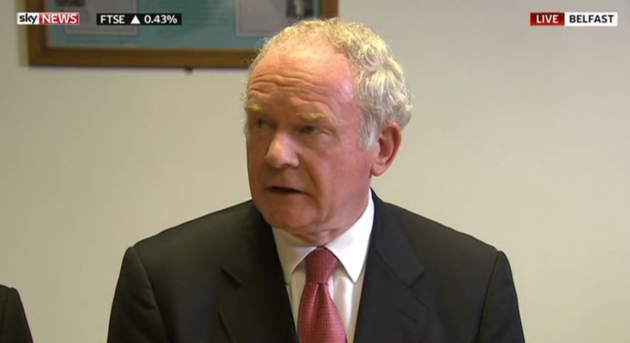 But he warned that if Adams were charged, Sinn Fein might “review” its support for the PSNI. McGuinness accused the “dark side” of policing for conspiring with republican enemies of the peace process. Northern Ireland Justice Minister David Ford of the Alliance party, said there was “no evidence” of political policing. “There is no reason why the police carrying out their proper duties in the proper way should cause any political instability,” he said. Unfortunately, it appears that the kind of comments which are coming from some politicians may contribute to that. 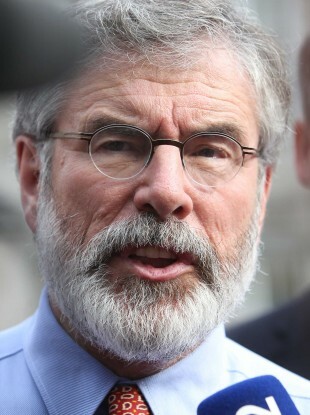 Email “The PSNI have been granted an extra 48 hours to question Gerry Adams”. Feedback on “The PSNI have been granted an extra 48 hours to question Gerry Adams”.